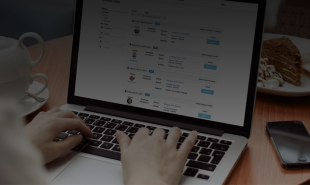 ReadySub is a new platform which enables school administrators to find substitute teachers at short notice, minimizing the chance of miscommunication or empty classrooms. The online platform reduces the cost of substitute management and simplifies the process by removing the need for time-consuming phone calls. Substitute teachers can join the platform for free and receive push notifications regarding available posts — which they can then apply for in-app. School districts can sign up for the service, creating profiles for each individual school. Then, when a substitute is needed they simply create a post detailing the location, length and special needs of the role. 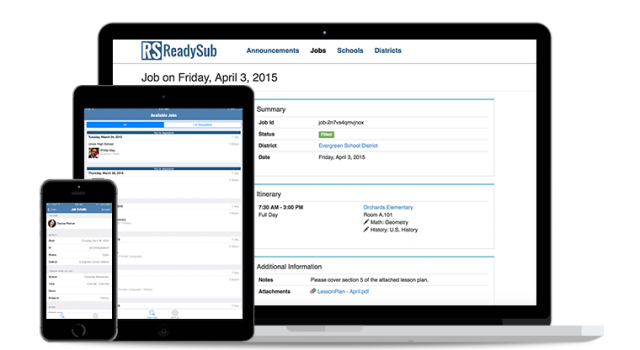 ReadySub can also be used by schools to keep teachers up-to-date about unusual circumstances such as snow days and the platform enables administrators to access useful absence analytics through comprehensive reports. ReadySub is currently available on iOS, with Android and Windows apps soon to follow. Pricing starts from USD 29 per school per month, which includes unlimited mobile apps, job posts and users. Could a similar platform facilitate temporary staffing in other industries?